Quick tip for Chromium Browser users: The official Ubuntu Chromium Browser beta and dev channel PPAs are unmaintained for a long time but there are a couple of PPAs you can use to get the latest beta and development Chromium builds in Ubuntu. Saikrishna Arcot maintains two Chromium PPAs: one for the Chromium Beta channel and one for the Chromium Dev channel builds - both PPAs are updated regularly for all supported Ubuntu versions. However, there is a downside to using these PPAs: these Chromium builds don't include the Google APIs which means that some features like the browser Sync don't work by default. To get these features back, you need to get a Google API key - the instructions for doing this are included in the PPAs description. 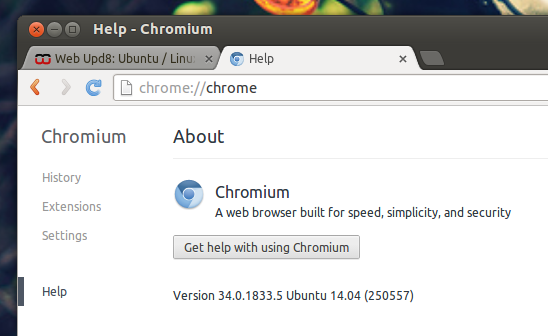 You can use these Chromium builds without the Google API but remember that the Sync, among others, won't work! Another thing you should note is that using these PPAs, your current Chromium installation will be overwritten by the one in the PPA, so you can't install both Chromium Stable and Chromium Beta or Dev in the same time. The Aura UI was disabled for the latest Chromium development builds but it used to be enabled until yesterday and that caused some rendering bugs. The Aura UI will return in Chromium dev builds and it might get pretty unstable when that happens so use this with care!